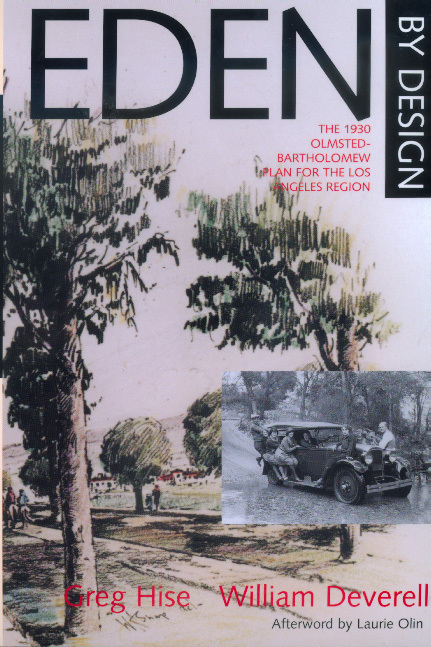 In 1930 the Olmsted Brothers and Harland Bartholomew & Associates submitted a report, "Parks, Playgrounds, and Beaches for the Los Angeles Region," to the Los Angeles Chamber of Commerce. After a day or two of coverage in the newspapers, the report dropped from sight. The plan set out a system of parks and parkways, children's playgrounds, and public beaches. It is a model of ambitious, intelligent, sensitive planning commissioned at a time when land was available, if only the city planners had had the fortitude and vision to act on its recommendations. "Parks, Playgrounds, and Beaches" has become a highly valued but difficult-to-find document. In this book, Greg Hise and William Deverell examine the reasons it was called for, analyze why it failed, and open a discussion about the future of urban public space. 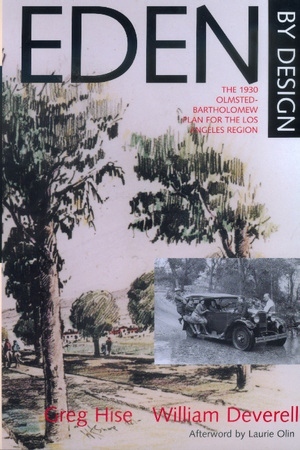 In addition to their introduction and a facsimile reproduction of the report, Eden by Design includes a dialogue between Hise, Deverell, and widely admired landscape architect Laurie Olin that illuminates the significance of the Olmsted-Bartholomew report and situates it in the history of American landscape planning. Greg Hise is Associate Professor of Urban History and Planning at the University of Southern California and author of Magnetic Los Angeles: Planning the Twentieth-Century Metropolis (1997) and co-editor of Rethinking Los Angeles (1996). William Deverell is Professor of History at the University of Southern California and Director of the Huntington-USC Institute on California and the West. He is the author of Railroad Crossing: Californians and the Railroad, 1850-1910 (California, 1994), coeditor of California Progressivism Revisited (California, 1994), and coeditor of Metropolis in the Making: Los Angeles in the 1920s (California, 2001).